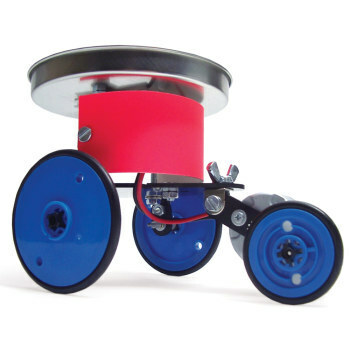 Exergia Memory Metal Engine - Learning Kit, Amazing Engines: Educational Innovations, Inc. This is a very special kind of heat engine that demonstrates the conversion of heat into mechanical energy. It uses the unique property of Nitinol alloy (~50% Nickel, ~50% Titanium, the "nol" at the end of Nitinol refers to Naval Ordnance Laboratory in Maryland USA where this alloy was developed) called the "memory effect". 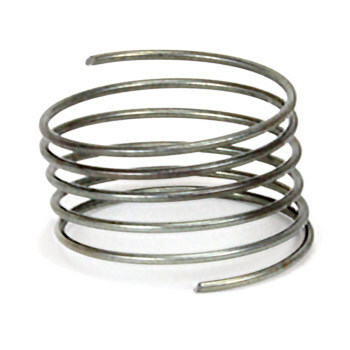 Once Nitinol has been formed into shape at high temperature (about 600o C) and allowed to cool to room temperature, it can be easily deformed. 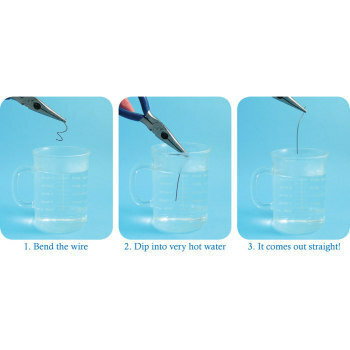 However, when heated above a transition temperature (in this application about 50oC to 70o C) the Nitinol object abruptly returns to its high-temperature shape with substantially more force than that required to deform it when cold. 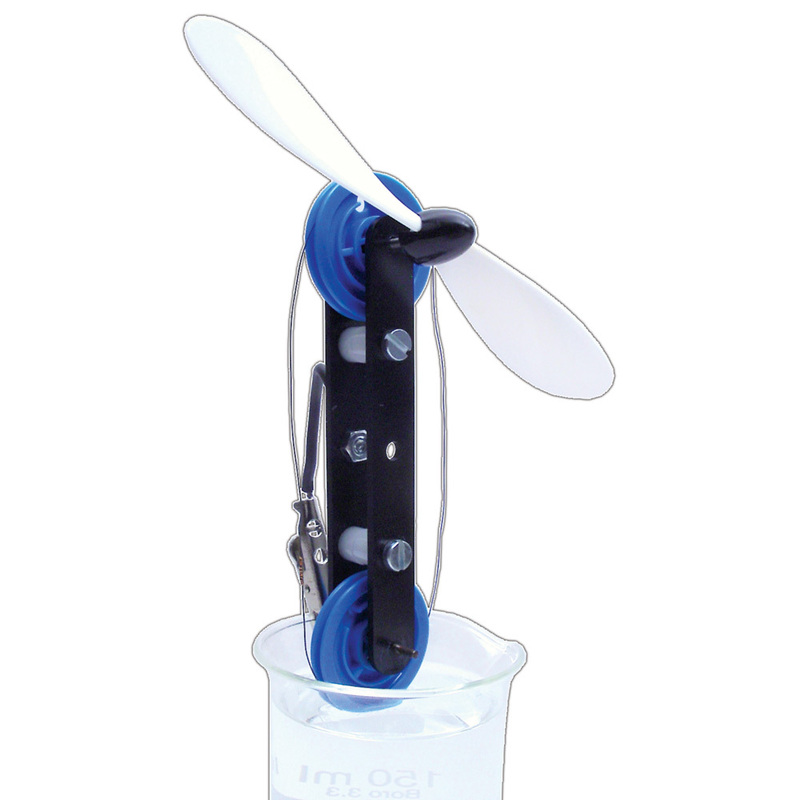 Uses a Nitinol wire formed to a closed loop that drives the two connected wheels. Includes detailed instructions. In fact, when it is assembled, it works very well, it is a 5 star at this moment. BUT, if you don't have a kit of screws at home or at schooll you will be sc..... because the 3 screws that come with the kit are about 3mm too short. I guess that they changed the thickness of the two long plastic parts that constitute the structure (again, I guess to make it more durable) but they forgot to adjust the length of the screws. Were I not to find three adequate screws at home I would have marked the kit at 1 star. Owner Response: Thank you for alerting us to this issue. We have looked through all the remaining kits on our shelves and notified the manufacturer. Took a few minutes to get going the first time but once it seats itself works every time. The professors and I enjoyed debating how it worked. I also got Nitinol sample pack to demo. Without it, the engine is just witchcraft.